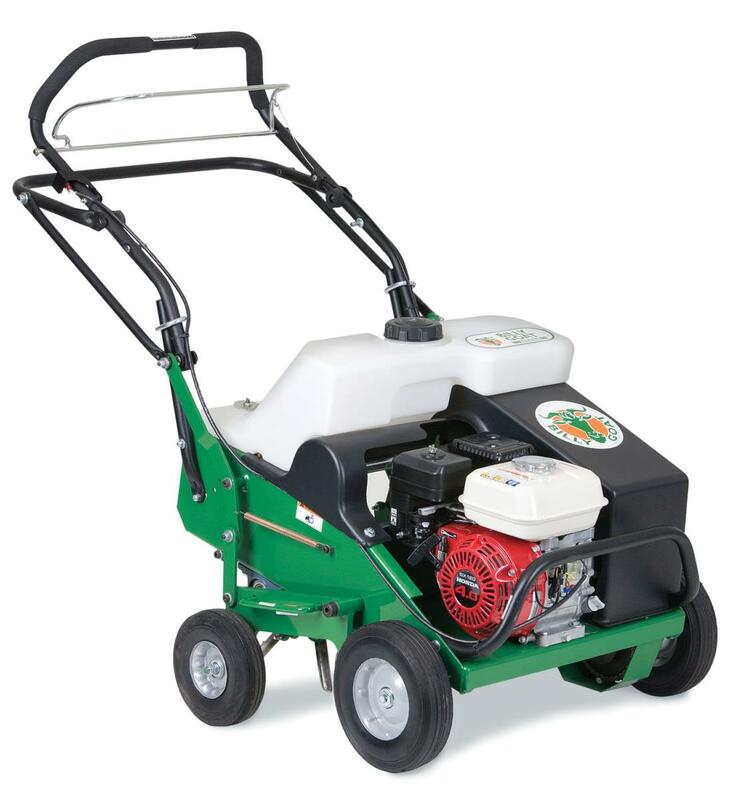 Billy Goat has been bringing innovation and efficiency together creating productive solutions for the lawn and garden industry for many years. The AE401 aerator is just one example of Billy Goat stepping up to the plate and designing a machine that not only performs but is fun to operate as well. Take a look at the AE401’s unique features and you’ll soon see why people are making the switch to Billy Goat. Ease of operation and maneuverability may be one of its foremost outstanding features. The AE401’s tine engagement shines as being the softest in the industry. Many walk-behind aerators are exhausting to use. Pulling the tines out of the ground, requires the operator to either lift the entire handle and the tines out of the ground or to manually lift the bale. Lift n Lock is an exclusive feature Billy Goat has designed to alleviate this aggravation. Simply raise or lower the tines using the engagement lever. A 5.5 gallon water tank is situated over the tines, adding 50 pounds to the aerator for increased tine penetration. The water tank has a large easy-fill hole on top as well as a drain plug in the back for easy emptying. 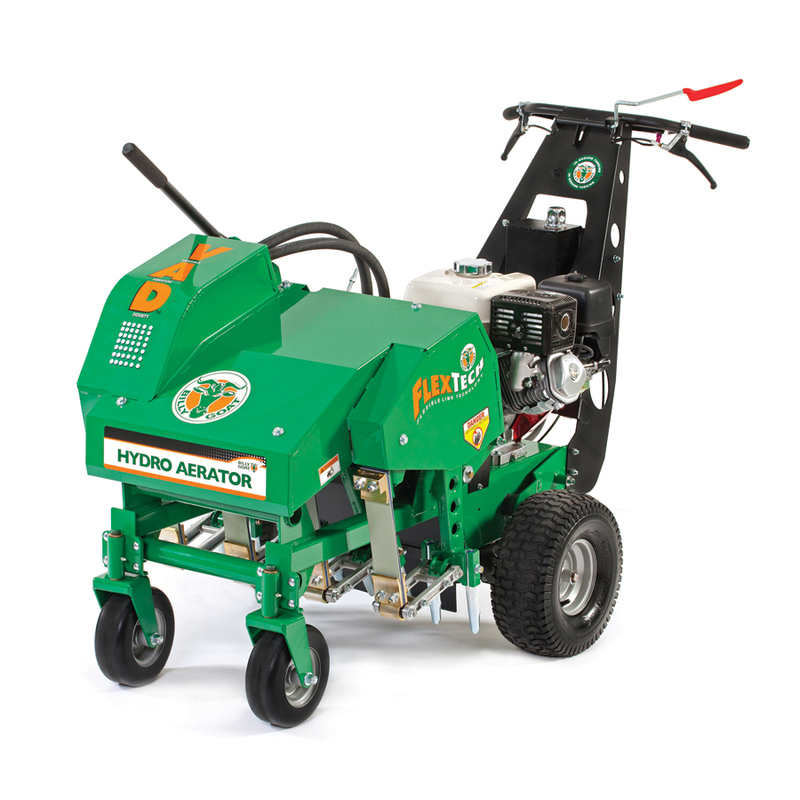 Fold-n-Go allows the aerator handles to fold without tools for compact storage and easy transport. The AE401 is simple and convenient to service. Tine stars can be replaced individually versus an entire shaft. The O-Ring style drive chain gives extended life and is easy to adjust and lubricate. Whether you need to replace tines, cables, wheels or other parts, replacement parts are readily available for the AE401 and AE551 models. BillyGoatParts.com is also a certified dealer stocking everything you need to service your Briggs or Honda engine. With the company’s online parts lookup tool, it’s easy to find the correct OEM replacement parts ensuring your aerator provides you with long-lasting dependability.